Walking with Jesus: Day 3: Acts 1:12-26 & Prov. 1:20-33 - What Do We Do While We're Waiting on the Lord? Day 3: Acts 1:12-26 & Prov. 1:20-33 - What Do We Do While We're Waiting on the Lord? 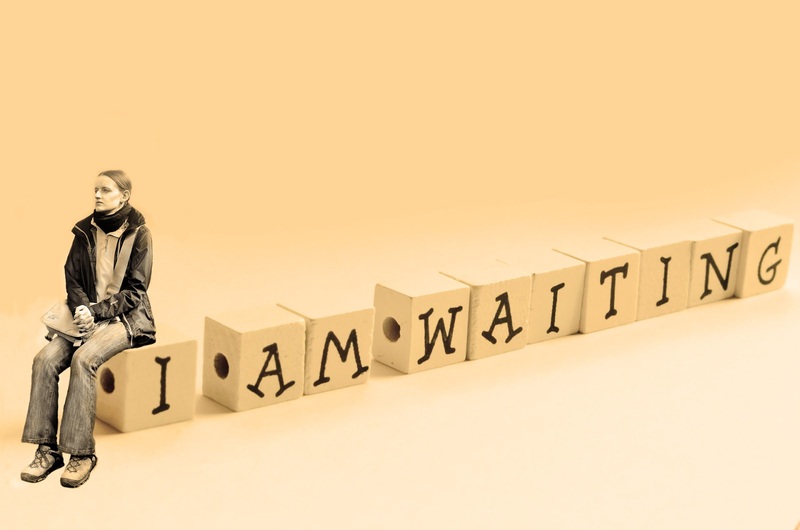 What Do We Do While We're Waiting on the Lord? After Jesus went away into heaven, the disciples had to wait. So what did they do? They remained together (about 120 of them) and continued in prayer as they waited for the Holy Spirit to be poured out on them. They were not idle. They were striving to be obedient to Christ while they waited. Not only did they pray, but they studied Scripture to see what they should do. One of the most deeply disturbing realities they had to confront was the betrayal of Judas Iscariot. How should they understand Judas' betrayal of the Lord? As they consulted Scripture, they found that Judas' betrayal had been revealed beforehand by the Holy Spirit. Where did they find this? Well, Peter's mention of David helps us limit our search to the Psalms, that portion of Scripture which David wrote. Peter was obviously deeply familiar with the Psalms. He quoted from them a few days later at Pentecost, when the Holy Spirit was poured out. As a Jewish man, he would have sung, prayed and memorized the Psalms from early childhood. What he did not expect, perhaps, was how clearly these familiar Psalms spell out the death and resurrection of Jesus, including His betrayal by Judas. God often used circumstances in David's life to prefigure Jesus. In this way, Bible scholars speak of David as a type of Christ. David is the type and Jesus is the antitype, or reality. This means David is the shadow and anticipation, while Jesus is the substance and the fulfillment. One of these patterns in David's life comes out of his betrayals, which anticipate Jesus' own betrayals. David was betrayed by his king, Saul, and then later by his son, Absalom. Jesus handed Judas bread to eat at the Last Supper right before Judas left to betray Him. When the wicked men came and encircled Jesus in the Garden of Gethsemane, Jesus was giving Himself to prayer. Even more, Judas greeted Jesus with a kiss, making his accusation with a sign of affection! When David wrote these words 1,000 years before Jesus was born, he was being used by the Holy Spirit to tell the story of Jesus' betrayal by Judas. Peter recognized this, and so he sought to obey the words of Psalm 109:8: "May his days be few; may another take his office!" Judas' days were already few; he committed suicide. Now it was time for another to take his office. Peter proceeded to lead the apostles and the early church in seeking God's will for a replacement for Judas. They carefully and wisely sought to obey the Lord and His word, while they waited for the Holy Spirit to empower them to be witnesses. What do we do while we're waiting on the Lord? Pray. Stick together with other believers. Study His word. Seek to be obedient. God blesses such actions! Heavenly Father, just as our goals need to be aligned to Your kingdom priorities, so our timing needs to be aligned to Yours. You often call us to wait on You, for You will acomplish Your purposes in Your timing, Give us the faith and patience to wait, and let us redeem the time while we wait. Let us be united with our church family, meeting together regularly, devoted to prayer and studying Your word that we might obey. In Jesus name and for His glory we pray, Amen. Lord, give us ears to hear the call of wisdom. but we are often too busy and too distracted to listen. Lord, let us not love simplicity and hate knowledge. so we need Your Spirit and Your wisdom now more than ever. Father, let us always turn quickly at Your reproof, at the rebuke of wisdom. Pour out Your Spirit upon us and make Your word known to us. that we may hear You and be secure in Your wisdom, now and always. Save us from the disatrous consequences of our own folly. Have mercy on us! Amen.